Universal Audio stands as not only one of the most recognizable brands in pro audio, but also one of the most acclaimed, with both their hardware and software products having ascended to top-tier status in the audio community. At the helm of this growth is comapny CEO, Bill Putnam Jr, who recently had a chat with me about his company and its work. Hi Bill. Can I start off by asking for some history about Universal Audio, as well as what your role is as CEO at the company? My dad was in the recording business since the 40s, and before that he worked at radio stations. During the war, he was in the army and was involved in broadcast recording for the armed forces radio. After that, he moved to Chicago and continued recording a lot of the great music that was coming out of there at the time, such as early blues, Willie Dickson, Muddy Waters, Frank Sinatra, etc. Whilst doing that, he also made his own equipment for his recording studio and saw that there was an opportunity to commercialize that. Back then, all recording equipment had been made for radio and broadcast alone. So my father focused on making things that were more specifically focused on what you need in a studio, and he came up with many of the early techniques and technology that we use today. This blossomed into Universal Audio, which used to make tube mixers and later made solid-state compressors. He sold the business in the early 80s and it pretty much vanished after that, until I restarted it in the late 90s. My background is in electrical engineering, and I’m also an amateur musician. At that time, Pro Tools was just making its way into the industry and digital music technology wasn’t as accepted as it is now. There was almost a philosophical difference between the digital camps and the analog ones, and they didn’t get along too well. But I looked at the digital stuff and thought that many features were fantastic, like storing presets, saving, undo functions, etc. But it was lacking the warmth and depth of what analog gear did, and I didn’t think that it forever had to be limited to that. Whilst I was doing my PhD in electrical engineering at Stanford, I was a part of a group called CCRMA, which focused on synthesis and the physical modeling of musical acoustics. So we would write down the math that described the acoustics in a trumpet, and then implement signal processing to simulate the sound of it. So I figured that you could do the same thing for audio processing gear like compressors and EQs, and that was the vision that prompted me to restart Universal Audio. As far as my role at UA goes, I currently have a traditional CEO role that involves working on UA’s product strategy. In the early days, I did everything and had every job position at the company for at least a little while. But as time goes on, you hire people who can do a much better job than you, so you constantly work yourself out of a particular job. Even though I don’t do any engineering work anymore, my background allows me to offer that perspective on a lot of things. What does your current work day look like as the President? Do you have a fixed regimen or are your tasks purely improvisational, based on what the company needs? It’s a mix of both, though tilted a bit more towards the latter. My dad taught me that it was possible to get paid for doing something that would have otherwise been a hobby, and music was that for me. I never stop thinking about the next area to work in or problem to solve. But I don’t plan out what times of the day I’m going to be working on strategy and problem solving. A lot of those ideas happen when I’m just taking a walk or riding a bike. Creative things aren’t really suitable for a routine, and running a company involves a consistent strain of problems that need to be solved in unconventional ways, which in itself is a creative action. As someone with a history in both the digital and analog worlds, what do you think are some of the differences that people find hard distinguish between the two, which could make all the difference in a mix? One of the things I say is that people need to listen. That’s what making music is about. Painting is about seeing, and writing is about thinking. So I might be able to provide some verbal direction which they might agree with once they’ve heard it themselves, but nothing replaces listening to music and sound. Having said that, the difference between analog and digital lies in the non-linearities. A lot of the not-so-great versions of digital saturation can sound very harsh. That might be what you want, but a lot of people want something more musical. Analog equipment tends to have that. Also, a lot of digital gear can sound brutal and inaccurate at high frequencies. Has the hardware side of UA’s business been affected by the boom in digital plugins and laptop producer popularity? Yes and no. “No” in the sense that when we sell a plugin version of our LA2A , which is imperceptible from the hardware, people who want the actual hardware still buy it. We’ve had a consistent string of folks who still want that. We’ve had people ask this question a lot, whether making such faithful emulations of gear will kill our hardware business, but it really doesn’t. On the “yes” side, we can see that people bought a lot of line-in, line-out and signal processing analog gear in 1998, but aren’t doing that anymore. However, in order to record live instruments, you still need a good pre-amp and something to control dynamics, such as a channel strip. Our LA-610 is reasonably affordable channel strip with a nice tube pre-amp on the input and a LA2A-style compressor attached. As time goes on, do you think there will be decrease in demand for hardware, as plugins get closer and closer to perfectly emulating gear? We haven’t seen that happen. With the Apollo Twin, we announced a new technology called “Unison”, which takes on a new frontier of emulating mic pre-amps. We do have our LA-610, which is great, but with our Apollo Twins we’ve created some high quality mic pres on the input. They create the analog warmth by modeling. Additionally, the hardware interacts intimately with the software, which is the Unison aspect. 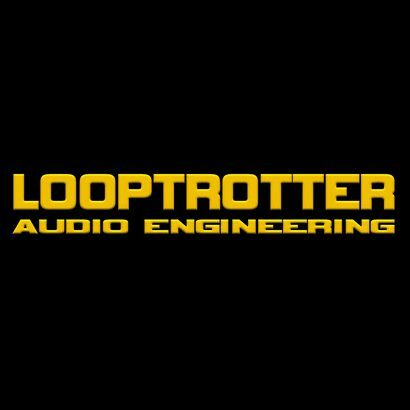 There is the possibility that being able to get a LA-610-sounding pre-amp with our Apollo Twins could hurt 610 sales, but I think it’s the right thing to do, as we’re about delivering high quality sound to as many people as possible. Even if we were ridiculously successful with the LA-610, it would still be less accessible than a plugin. Some people will never know what a 610 tube console sounds like, which is what was used to record many Van Halen and Neil Young albums. But now, if you purchase an Apollo Twin, you can. Has UA been more successful with hardware or software sales since you revived the company? I would say that they’re very much intertwined. Our plugins depend heavily on the hardware that they’re run on, such as with the “Unison” technology. A lot of the things we make can only be done by a company that has competency in both worlds, and we wouldn’t be able to do what we do unless we thought of them as inseparable. What’s been the most difficult plugin for the company to make thus far? Frankly, we push the envelope with everything new that we make, so the hardest plugin always feels like the latest one. But historically, I would say our tape emulations, the Studer A800 and Ampex ATR-102. They took years to do, and not only with regards to coming up with the basic approach to modeling, but also studying the different biases and tape formulations, among other things. Whilst we were working on those emulations, other companies had made tape saturation plugins that could be used as a kind of effect plugin. Granted, any sound processing is valid if you have an aesthetically appropriate place to use it, but if their job was to emulate a tape machine, no-one was doing that accurately. So doing tape for the first time took more time that any other project. Anything involving magnetics will get very tricky if you want to do a faithful job of modeling what goes on in the core of the machine. UA software is known for it’s use of Accelerator Cards. Can you briefly explain what role these tools play in the use your plugins? Why did you guys decide to go that route of using them, instead of iLoks or activation licenses? There are several answers. A lot of our customers use processor-heavy instruments, and what we hear from them in surveys is that when they load up many virtual instruments, they run into problems. They have to set their buffer sizes very high to compensate for the lack of processing power. When we’re making our plugins, we’re not afraid to have them use more processing power if that allows them to more accurately emulate analog gear. A lot of times, there’s a direct correlation between how much processor power you have and the quality of the results. So for the producers or artists that have big sessions, this can become an issue if they have to increase their buffer sizes to accommodate things, as they wouldn’t be able to track and monitor with plugins. So the way we solved that was by merging our DSP with our recording interfaces. This gives you the ability to track with imperceptibly low latency. So not only do you off-load your processor, but you can also monitor with less than 2 millisecond latency. For those who don’t know, can you briefly explain what DSP is, and how it’s played a part in making UA products successful? It’s an acronym that stands for Digital Signal Processing. Signal processing involves altering a signal, which is what EQs and compressors do. It also used to refer to processors that are specifically designed for certain things. The architecture of a DSP chip, whose only purpose is to process a signal in real-time, is very different than a general-purpose processor that has do everything from spreadsheets to graphics, and that difference lies in low-latency. Did you feel like the company had to be aggressive with marketing the Apollo, or did UA think it would fare well among its competitor interfaces? We’re not interested in being a me-too company that does the same things as everyone else. When we enter a new arena, we’re not thinking about how to compete with company A, B or C, but rather how to make a unique product. With the Twin, there were several things that we were focused on. One of them was bringing the low latency DSP into a converter that was affordable. For the types of workflow where latency is important, that sort of thing is beyond most people’s reach, unless you spend $10,000 – $20,000 on a Pro Tools HDX system. The second thing we had focused on was a technology that we’d been working on for years, which involved making the sound of great mic pres accessible to everyone. Nothing about this was easy. But if you’re true to the customer and the product first, things will happen in the market as a result. There are companies that spend their time thinking about how to cut corners, and to be honest, doing that successfully is a talent, but it’s not what the world is going to remember as we get older. What does the future look like of Universal Audio? You guys have made a lot of plugins over the past years. Any chance of that slowing down? There’s a lot more to do, and we’re not going to get bored of what we do. We’re going to continue to work on great plugins. A lot of the ones that are in the pipeline right now are improving upon our modeling techniques further, which is very satisfying.